After Washington ran the ball 58 times against UCLA on Saturday, racking up 333 yards on the ground in a 44-23 rout, a reporter asked UCLA safety Adarius Pickett if he was surprised that the usually balanced Huskies ran the ball so often. He was, he said. Then again, maybe he wasn’t. The Bruins (4-4, 2-3 Pac-12) were thoroughly dominated by No. 12 Washington on Saturday. The offense gained a season-low 232 yards and lost quarterback Josh Rosen to an undisclosed injury that will receive more evaluation this week. The defense continued to show why it is the worst rushing defense in the country. The special teams gave up 40 yards per kick return, including a 82-yarder. 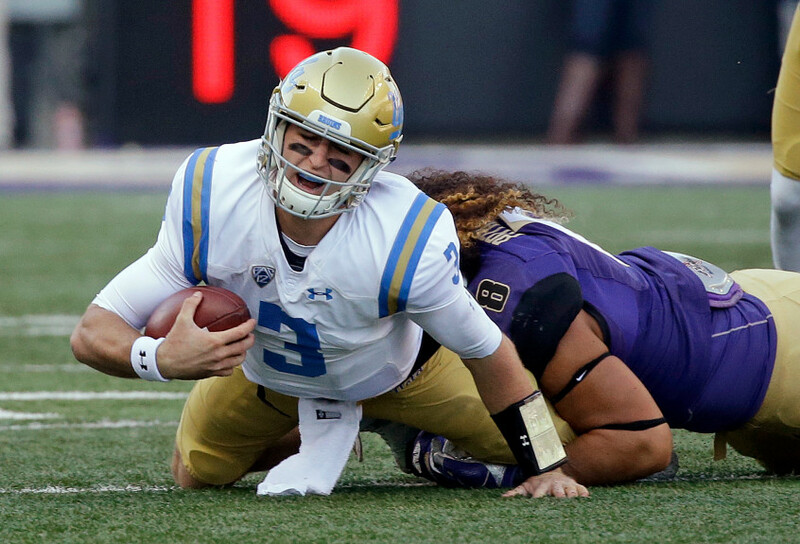 UCLA has to recover quickly with another road game Friday at Utah at 6:30 p.m.
UCLA struggled in all aspects of the game Saturday in a 44-23 blowout loss to Washington. The Bruins had a season-low 232 total yards on offense and gave up 333 rushing yards on defense. And Josh Rosen left the game in the third quarter after getting sacked four times. He’s dealing with “multiple things,” head coach Jim Mora said and will be evaluated further Sunday. Jedd Fisch isn’t distracted by any rankings or College Football Playoff berths. He’s too busy studying the film on No. 12 Washington. “We all know it’s a good football team, just turn on the tape, that’s easy to see,” the offensive coordinator said. 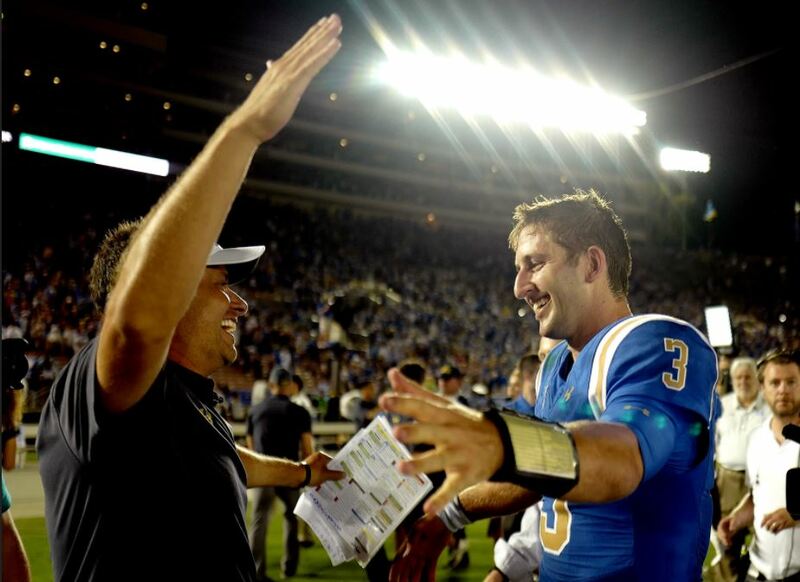 During the three years since UCLA and UW last played, the Bruins stumbled toward irrelevance while the Huskies won their first conference championship in 16 years. When they meet Saturday at Husky Stadium at 12:30 p.m., UCLA has a chance for its first win over a ranked team since 2015. The game will be broadcast on ABC with radio on AM 1150 or AM 570. Pregame graph: What does it take to take down UW? Pregame graph: How can UCLA upset Washington? 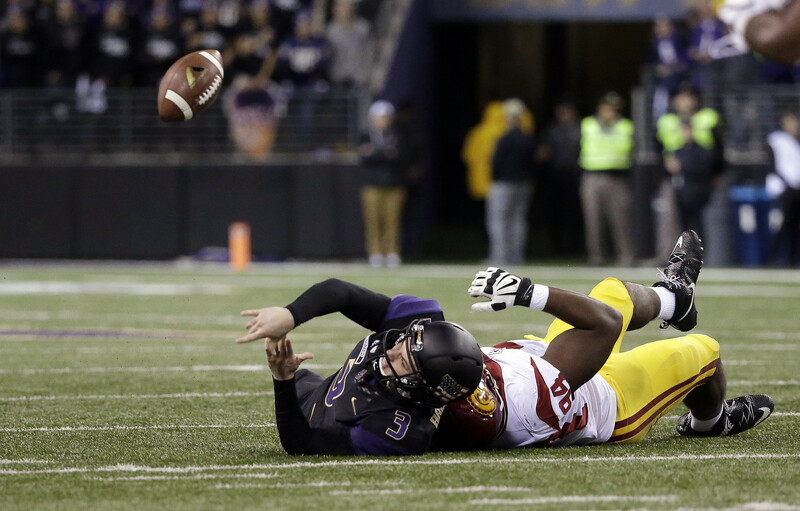 Entering Saturday’s game against UCLA, Washington is coming off its first loss this season. It’s a rare feeling for the No. 12 Huskies, who have lost only three games since the beginning of the 2016. UW lost to USC at home, Alabama in the College Football Playoff and Arizona State in Tempe last weekend. What does UCLA have to do Saturday to join that short list?